The holder of a patent registration is entitled to file an infringement action before the competent court against any party who infringes its rights. It may also act against a party who is carrying out acts that may give grounds to presume an imminent infraction. In cases of co-ownership of a right, any of the co-owners may file an infringement action without seeking the consent of the other owners. A duly recorded licensee may also file suit for these reasons. For measures that can be requested in the event of infraction of the rights protected by the Honduran Industrial Property Law (see question 21). There are no specialised courts where a patent infringement suit can be brought. These cases are filed before the civil courts. The above should be differentiated from a nullity action, which may be filed by anyone that considers itself the rightful owner of a patent and files suit against a third party who was able to secure a patent for the same object of protection. This action will expire after five years starting from the date of grant of patent, or two years starting from the date in which the invention had begun to be worked in the country, applying the term that expires later. use of the patented invention - only literal infringement is recognised. No doctrine of equivalence applies. The plaintiff must prove that the wording of the patent’s claim or claims covers the alleged infringing product or process. First, the plaintiff must define the scope of the approved claims. The Honduran Industrial Property Law and the courts have established that the span of the claims is determined by the wording of the claims, aided by the description and drawings. Infringement actions usually require expert witness declarations and official attestations and opinions from the Honduran Patent Office. The basis of this defence is that the proper interpretation of the patent claim does not catch the alleged infringing product or process. Under the Honduran Patent Law, granted patents (for products or procedures) are valid until the contrary is proven in a court of law or in an administrative procedure for the nullity of the patent as previously indicated. One of the most common defences in patent litigation in Honduras, both at a court or administrative level, is to attack the validity of the allegedly infringed patent. As the patent exists, an administrative or judicial resolution is required to declare its annulment. the grant of patent was defective because of errors or serious oversight, or it was granted to a person not entitled to it. Any patentee or duly registered licensee (unless expressly forbidden from doing so) has the right to prosecute a suit against a third party infringing his or her rights. A distributor may not bring a suit for infringement. An accused infringer may counterclaim patent invalidity under formal or technical considerations upon receiving the infringement suit. All parties involved in an infringement, either by manufacturing, providing means to commit the infringement or perpetuating acts that may be considered as facilitating patent infringement, may be liable in a patent infringement suit. Multiple parties can be joined as defendants in the same lawsuit. The requirements are that the defendants are making, using or selling substantially similar methods or products and that they have the same corporate or commercial relationship to the accused’s methods or products. All of the defendants must be accused of infringing the same patent in these cases. Activities that take place abroad cannot support a patent infringement action in Honduras per se, unless there is a resulting effect in Honduras such as the importation of infringing goods. Pursuant to the Honduran Industrial Property Law, only literal infringement is recognised. No infringement under the doctrine of equivalence is expressly provided for. The plaintiff should prove that the wording of the patent claim covers the alleged infringing product or process. Honduran law does not contemplate the possibility of discovery as such. Accordingly, a plaintiff must provide the court or Patent Office with all available evidence to prove infringement, damages or invalidity. There is, however, a possibility of acquiring documentation during an inspection visit of the judge or administrative officer. During process patent suits, the defendant has to provide evidence that the process used is different from the one covered by the patent claims. Actions before the Patent Office, Higher and Highest Administrative Office (Superintendency of Intellectual Property) may last from 15 to 24 months. An initial resolution from the Patent Office can be expected within 12 months. A decision from the Higher Administrative Office may take around four months, and a decision from the Highest Administrative Office take an additional two to six months. A court action, either before the civil courts or the Contentious Administrative Court (challenging decisions issued by the Highest Administrative Office) may last from two to three years. Fees for the preparation and filing of a patent infringement lawsuit before the Patent Office or courts are around US$6,000. Additional fees and expenses (depending on the nature of the evidence submitted, translation costs when needed, expert witness charges) are highly variable. Attorneys’ fees for prosecuting the matter alone may cost another US$7,000 to US$10,000. Contingency fees are permitted but rarely awarded. Appeals to decisions rendered by the Patent Office go to the Higher Administrative Office and then to the Highest Administrative Office (Superintendency of Intellectual Property). The decision rendered by this Office puts an end to administrative procedures. The affected party may file suit before the Contentious Administrative Court against the decision rendered by this office and request reversal of the decision and damages. Appeals to decisions rendered by the civil courts go to the circuit court of appeals and then to the Honduran Supreme Court. New evidence at the appellate stage is allowed provided that the same is new and relevant. The Honduran Administrative Offices and courts generally consider that the use of a state-given right cannot constitute a violation of rights. Nevertheless, an action could theoretically be brought for activities falling outside the scope of a patent, such as non-competition agreements for products that are not covered by the claims, product-tying within that scope or unfair competition activities such as advertising that a product is better than an alternative for the sole reason of it having a patent. Alternative dispute resolution (ADR) methods are available in Honduras under the Honduran Conciliation and Arbitration Law. Additionally, Honduras is signatory of several ADR treaties and conventions, such as the UNCITRAL Model Law on International Commercial Arbitration, the Inter-American Convention on Inter­national Commercial Arbitration, the Inter-American Convention on Extraterritorial Validity of Foreign Judgments and Arbitral Awards, and the United Nations Convention on the Recognition and Enforcement of Foreign Arbitral Awards of 1958. The latter makes foreign awards not only valid but also enforceable by law in the country. The use of ADR methods in general is still not common. However, there has been a recent rise in ADR culture. Currently, there are three ADR centres in Honduras. methods of surgical and therapeutic treatment or diagnostic methods applicable to the human body and those related to animals. The right to the patent will belong to the inventor without prejudice to what it is established in articles 12 and 13 of the Honduran Industrial Property Law. When several people produce an invention jointly, the right to the patent will belong to them in common. The right to a patent can be transferred by acts between living persons or through hereditary succession. 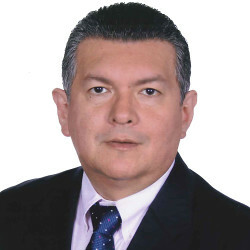 If several people independently effect the same invention from one another, the patent will be granted to the person (or his or her beneficiary) who files the patent application first or who claims the earliest priority date according to article 141 in the Honduran Industrial Property Law. According to article 12, when an invention had been produced in fulfilment or compliance with a work or service contract or employment contract, the right to the patent for that invention will belong to the person who contracted the work or service, or to the employer, as it shall correspond, except for a contractual provision otherwise. When the invention should have an economic value much higher than the one the parties could have reasonably foreseen at the time of concluding the contract, the inventor will have the right to special compensation, the amount of which will be set by the competent court in the absence of agreement between the parties. Any contractual provision less favourable to the inventor than the ones provided in this article will be null. According to article 13, if an employee who was not under the obligation in his or her employment contract to perform an inventive activity should fulfil an invention in the area of activities of the employer, or through the use of data or means to which he or she would have access because of his or her employment, he or she will immediately communicate this fact to his or her employer in writing. If, within a term of two months starting from the date on which the employer would have received such communication, or should have knowledge of the invention by any other means, applying the earliest date, the employer notifies the employee in writing of his or her interest in the invention, the employee will have a right to the co-ownership of the patent, having an equitable right to the profits that the use of the invention should occasion. If the employer does not carry out the notification within the established term, the right to the patent will belong to the employee. Any contractual provision less favourable to the inventor employee than the ones provided in this article will be null ipso jure. Besides joint ownership, as stated above, which originates from the parties’ joint contribution to the creation of the intellectual property as joint inventors, Honduran Law also recognises co-ownership of patents by virtue of joint venture agreements. the patent was granted in contravention of the law. A patent can be annulled if it does not comply with formal or technical legal provisions. Absolute novelty is a requirement for patentability in Honduras. There are some exceptions to the absolute novelty bar: disclosure of the invention by the inventor or assignee within a 12-month period prior to the filing of the Honduran application, or the recognised priority, does not constitute a novelty bar, provided that a statement regarding the date, place and means of disclosure is filed together with the Honduran application. Means of disclosure include a trade show, a published article, sales of the product and so on. Publication of a patent application or issuance of a patent by a foreign patent office are the only means of disclosure excluded from the foregoing. The standard for determining whether a patent is inventive in view of the prior art is defined in articles 4, 6 and 12 (and others) of the Honduran Industrial Property Law. These articles establish that an inventive activity is a creative process the results of which are not apparent from the state of the art to a person with technical knowledge in that field. that an invention for which a patent has been granted or has a patent pending application shall remain open to the grant of licences of public interest. In this case, the Industrial Property Registry Office will grant a licence of use to any person that shall request it and shall have the capacity of accomplishing such use in the country. Any licence of public interest will generate the corresponding payment in favour of the holder of the patent granted by the Patent Office or, if there is a lack of an agreement, the payment due will be fixed by the state department of the Ministry of Industry and Commerce before the General Directorate of Intellectual Property. The decision of the Ministry in terms of the payment to the holder of the patent shall be the object of remedy of appeal through executive action, and once this is exhausted, the legal process will remain unobstructed. Private use of the method can be used as a defence by the accused infringer and it covers all types of invention. Several administrative sanctions can be imposed on a person found to have infringed a patent. These range from a fine to penal sanctions in the event of recidivism. The affected party may also bring an additional claim for damages and lost profit in a civil law action. Damages and lost profit start accruing from the date on which the existence of an infringement can be proven. Honduran law tends to provide fair compensation to the affected party. Royalties are generally calculated on the basis of the scale of exploitation of the invention subject matter of the licence and the economic value thereof. No specific form of calculation is prescribed by law, so some general rules of thumb apply such as to estimate the market for a product with the patented invention. Assuming that the invention in question is the major piece of the product, a typical licensing arrangement may be 2 to 5 per cent of the wholesale cost of the product. The value of a licence to the patent would be proportional to the licence royalties multiplied by the yearly sales of the product. the necessary measures to avoid the continuation or repetition of the infraction, including the destruction of the seized objects referred to in (iii). A bond will be required from the plaintiff prior to issuing the provisional injunctions needed to carry out any of the measures listed above. This bond would provide damages caused to the defendant by the unfounded action. As part of the DR-CAFTA agreements, the Honduran Customs Office may block the importation of infringing products into the country. However, in practice, the IP special unit of the Honduran Customs Office will ask the Patent Office to notify the attorneys of the registered owners of a possible infringement; they will then have up to 48 hours to initiate an action before the IP unit of the Attorney General’s Office to work with the Customs Office and achieve the seizure of the goods before they are released in the Honduran market. The Customs Office also allows for some firms that handle a large number of cases to provide them with lists of relevant patents and products in order to receive forewarning when an importation petition is filed or when the merchandise arrives at the port of entry. Although contemplated both in administrative and court actions, costs and attorneys’ fees are not usually awarded except in those cases where the lack of the right to litigate of one of the involved parties is extremely obvious. Yes, whether or not an infringement was wilful is taken into consideration both in administrative and judicial instances for determining fines, penalties and damages. Opinions of counsel are taken into account but these opinions are not binding on any administrative and judicial authorities. The present criterion is that the time limit for seeking a remedy is during the life term of the patent. Once the patent has expired, an action may not be brought for actions that took place before the end of the life term. There are no marking requirements under Honduran law. In cases of false patent marking, unfair competition actions could, theoretically, be filed. There are no restrictions on the contractual terms by which a patent owner is permitted to license a patent. According to the Honduran Industrial Property Law, a licence agreement must be recorded with the Patent Office in order for the same to be enforceable against third parties. A duly registered licensee will be entitled to exercise legal action to protect the patent rights as if he or she were the holder, unless otherwise agreed. The working of a patent by a duly registered licensee will be deemed to be worked by its holder. Thus, even though it is not mandatory to register a licence agreement, it is advisable to do so so that the licensee can exercise his or her legal rights, particularly against third parties. At the request of any person who proves his or her capacity to use the patented invention, presented four years starting from the date of the filing of the application of the patent, or three years starting from the date of grant of the patent, whichever expires later, the Patent Office shall grant a compulsory licence for the use of a patent if it is not in use in the country and following an audience with the patent holder. A compulsory licence will not be granted when it is demonstrated that lack of use is due to a fortuitous case or force majeure, or to circumstances that are out of the will or control of the holder of the patent and that justify the lack or insufficiency of industrial use of the patented invention. Lack of financial resources or lack of financial viability of the use will not be considered as sufficient circumstances for non-working. Before granting a compulsory licence, the Registration Office will give the holder of the patent the opportunity to proceed to its use within a term of two years starting from the notification made to him or her. Whoever requests a compulsory licence according to the Honduran Industrial Property Law must prove that he or she has previously asked the holder of the patent for a contractual licence, and that he or she has not been able to obtain it within reasonable conditions and terms. The application for the compulsory licence will indicate the conditions under which the licence is claimed to be obtained. other conditions that the Industrial Property Registry Office would estimate necessary or convenient for the best use of the patent. A compulsory licence granted according to the precepts of the Honduran Industrial Property Law shall be revoked by the Industrial Property Registry Office, at the request of the interested person, if the beneficiary of the licence should not accomplish the obligations that are his or her duty, or if the circumstances that originated the licence disappear and it would not be probable for them to occur again. The obligatory licence shall be modified by the Registration Office, at the request of any of the parties, when new facts or circumstances justify it, particularly when the holder of the patent had granted contractual licences in more favourable conditions than the ones agreed to the beneficiary of the compulsory licence. Compulsory licences cannot be exclusive, cannot be assigned or sub-licensed and can only be transferred with the business or with the portion of the business in which the invention is worked. The average time for obtaining a Honduran patent varies depending on the field of technology. Generally, it takes from two to three years to obtain a patent. The cost of obtaining and maintaining a patent in Honduras, from filing to expiry date (20 years in all cases), will be around US$4,000 to US$5,000. Additionally, the cost of Spanish translations of the specification and the cost of any other documents filed in a foreign language during the prosecution of the application need to be taken into account. There are no expediting procedures for patent prosecution in Honduras. power of attorney (legalised by the apostille or a Honduran consulate). No, unless requested to do so as part of the examination process of the patent application. Yes, divisional applications are allowed in particular cases. The decisions rendered by the Highest Administrative Office (Superintendency of Intellectual Property) put an end to administrative procedures. The affected party may file suit before the Honduran Contentious Administrative Court requesting that it revokes the decision and also reclaim monetary compensation for damages in particular cases. After the publication of the application in the Official Gazette, which is ordered after substantial and formal examination by the examiners of the Honduran Patent Office, any interested person will be able to present an opposition before the Patent Office making observations and presenting information or documents related to the patentability of the invention object of the application. The Honduran Patent Office is in charge of knowing and resolving the oppositions filed that will be substantiated under the ordinary declarative procedures established by the Code of Administrative Procedures and the Honduran Industrial Property Law regulations. The opposition should be presented within the term established by the Honduran Industrial Property Law, which is during the term of the publication or up to 30 working days counted from the last publication date. Honduras follows the first-to-file system. Consequently, there are no mechanisms for resolving disputes between different applicants for the same invention. Amendments, additional claims or modification of claims, description or drawings are allowed during the prosecution of a patent application. After allowance, amendments are only permitted for correcting obvious errors in the letters patent or limiting the scope of the claims in the letters patent. The patent shall be revoked by the Honduran Patent Office, upon the request of any interested person or competent authority, in cases of abuse of the rights conferred by the patent with the purpose of controlling, restricting or suppressing the industrial or commercial activities in such a way that it unlawfully affects the national economy, and as long as the grant of a compulsory licence had not been enough to end the situation created by this abuse. the patent is used to unjustifiably impede, restrict or control any industrial or commercial activity related to products or procedures that are not covered by the patent. Honduran patents (in all fields) are granted for 20 years starting from the effective filing date of the patent application. For Convention and non-Convention applications, the effective filing date is the filing date in Honduras. For PCT applications, the effective filing date is the date of filing of the international patent application. A 30-month term is used for entering national phase applications. for failure to pay patent annuities (a total of 20 annuities). Expiration owing to the expiration of the patent duration term will not require an administrative resolution. Utility models have a term of 15 years from the effective filing date. Design registrations have a term of five years (renewable for two additional periods of five years) from the effective filing date.